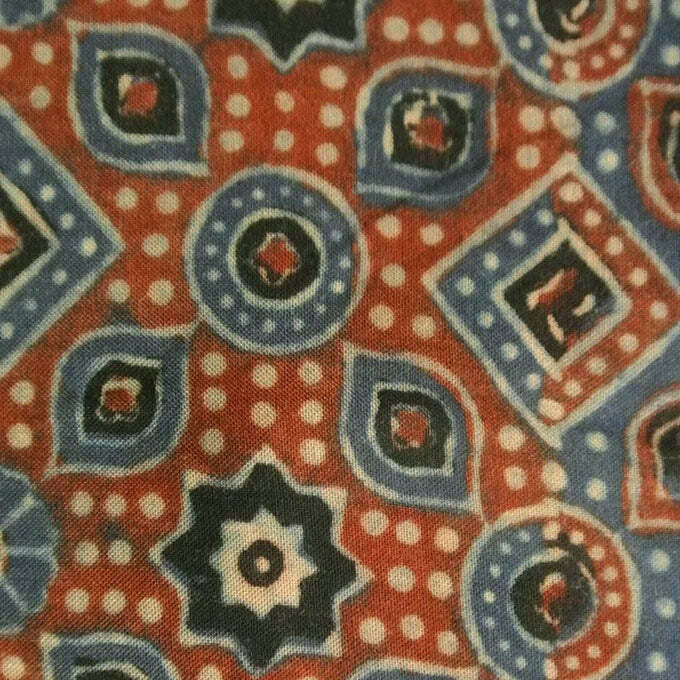 Ajrakh is a printing technique found in Sindh (Pakistan) and Kachchh (Gujarat, India). 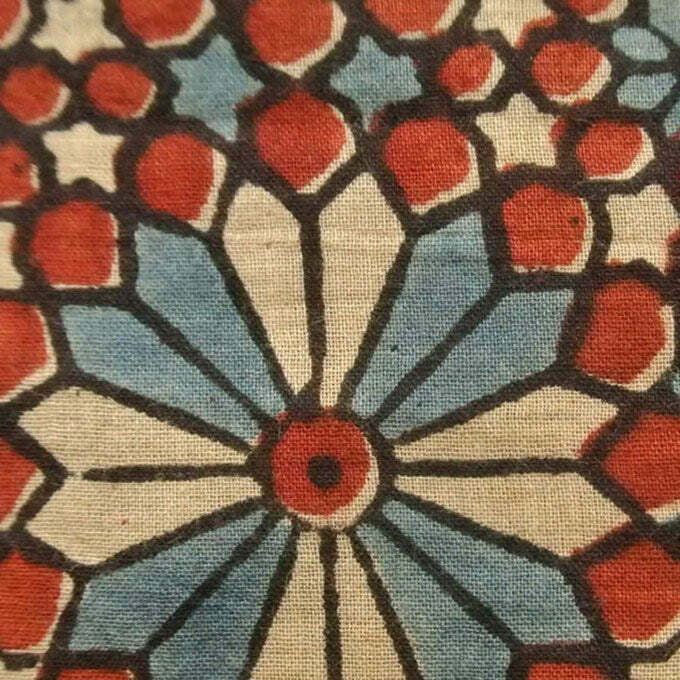 The complex motifs are motifs are inspired from nature and Islamic architecture, and the dyes and mordants used are of natural origin. 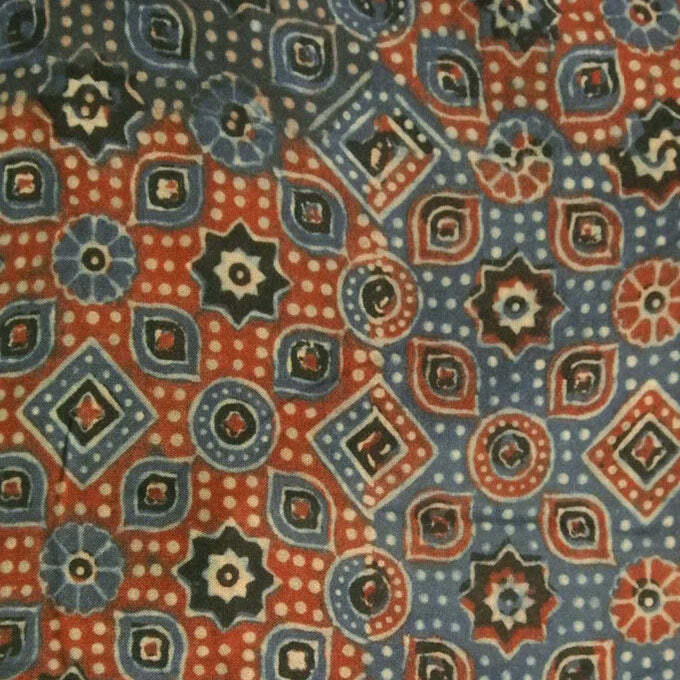 Ajrakh prints are usually restricted to black, indigo, red, green and yellow. 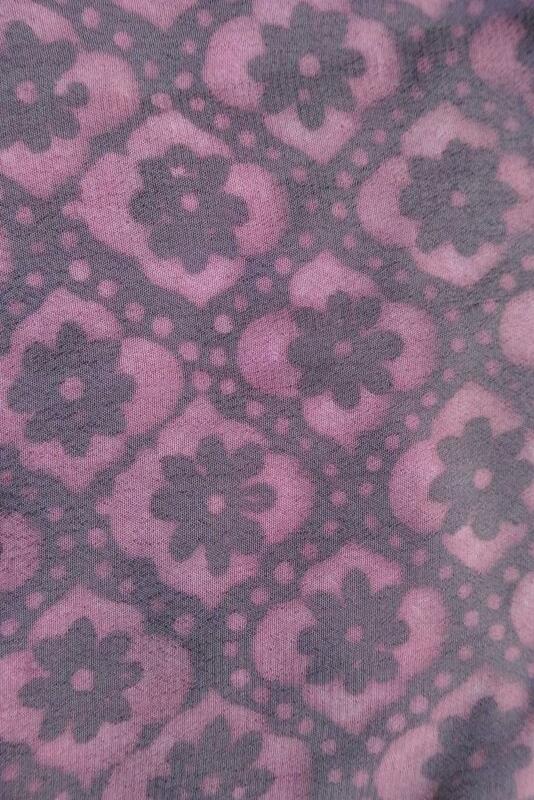 The white you sometimes see is a result of printing the fabric with a “resist” and then dyeing it in a certain colour. 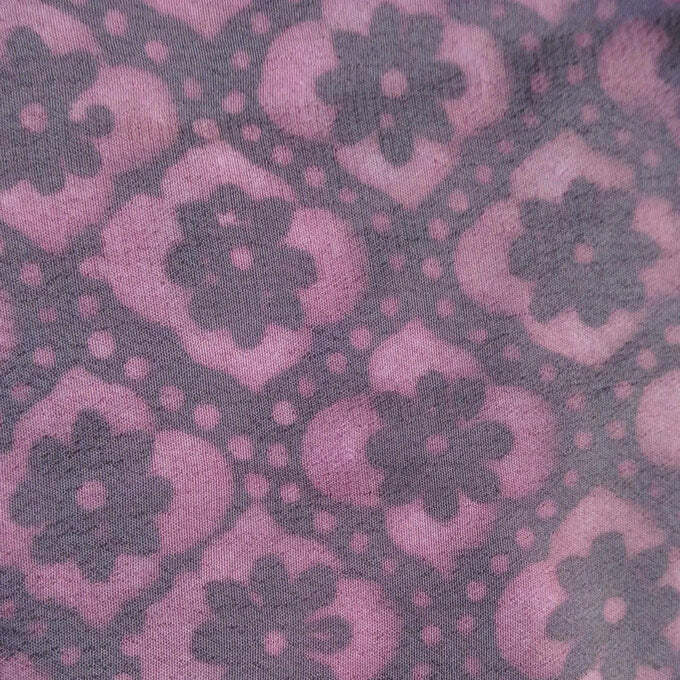 The areas printed with a resist (flour mixed with gum, for example) remain white after the fabric is dyed. 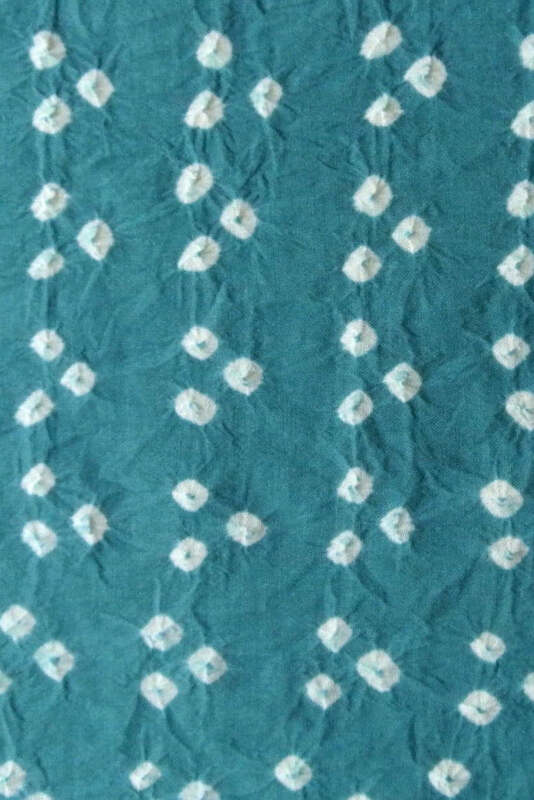 Some of the natural resources used in Ajrakh printing are alizarine, indigo, pomegranate seeds, gum, wood, and flour. The printing process includes many washes in mordants, dyes and water, and as a result the final printed fabric has beautiful softness to it. 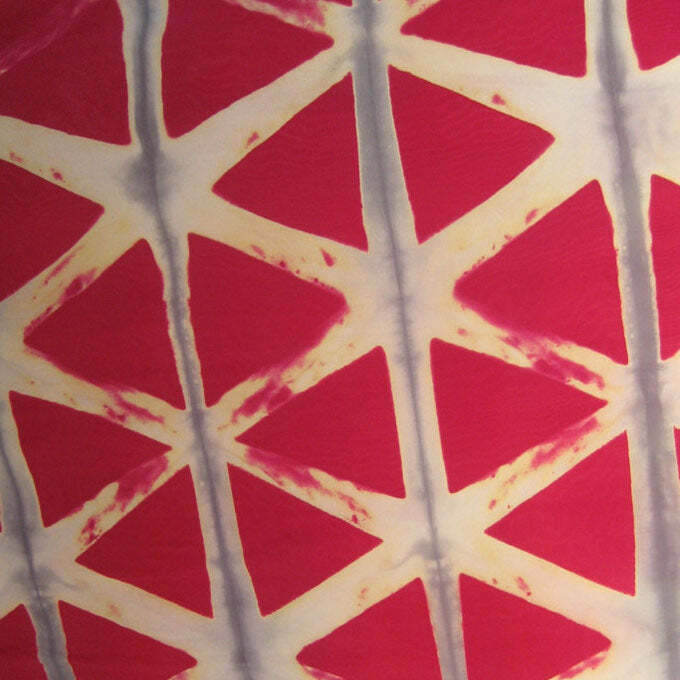 Chemical dyes are a major source of pollution in the textile industry today. Ajrakh uses natural dyes and the process allows the craftsmen to live in harmony with nature, respecting their natural resources while they benefit from them. 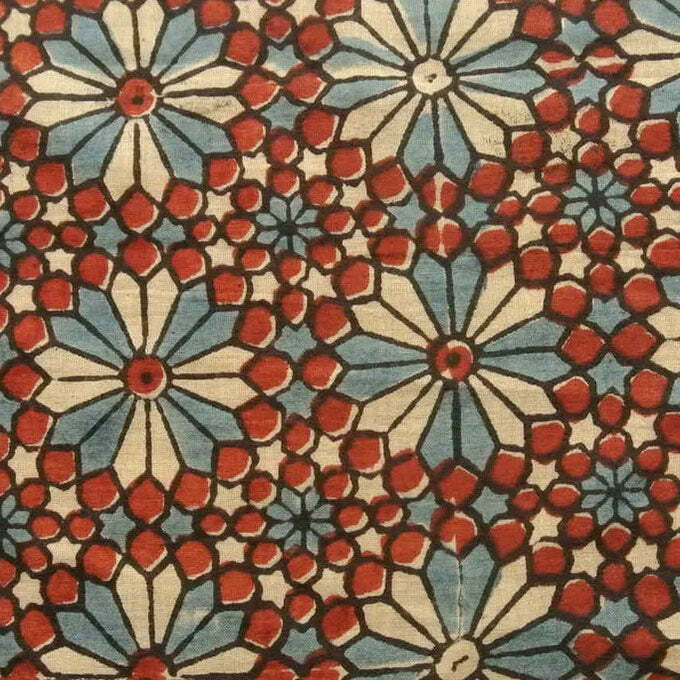 The first step in block printing is the creation of the pattern on the block of wood. 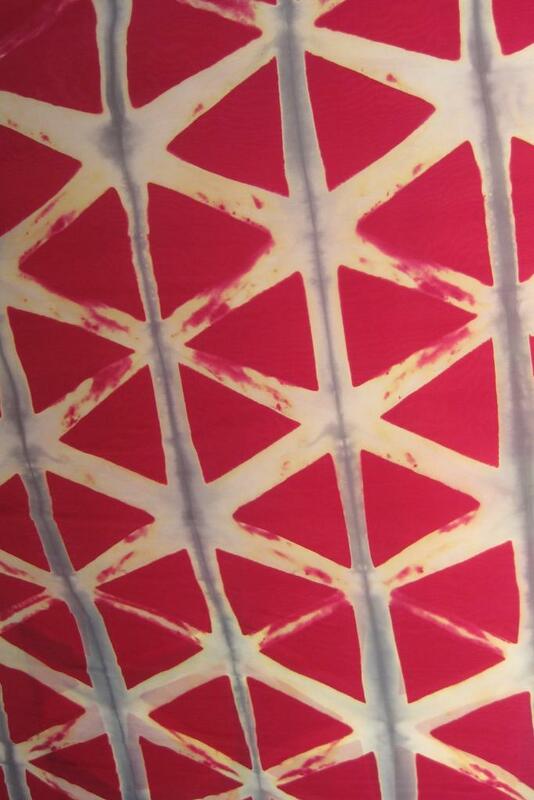 This can be done using a knife or chisel, and the parts that are left blank are carved out and removed, so that the parts that are dipped in the dye form a pattern on the fabric. It produces a mirror image of the pattern; therefore the carvers have to be careful while carving the wood. 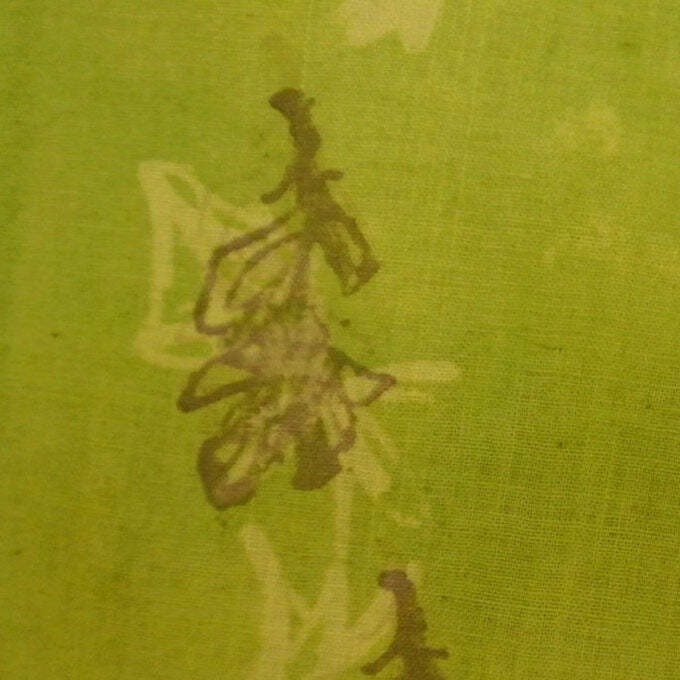 The woodblock is then placed a container with the dye and then stamped on the fabric, leaving behind the pattern of the block. At one point, only vegetable dyes were used to create the colour, but now chemical dyes have replaced the use of vegetable pigments in most parts of India. Brass Tacks uses a combination of natural and chemical dyes. Block printing provides a sustainable livelihood for many in Indian villages as it involves an entire community in block-making, designing, printing, dyeing, and washing. Ikat a technique of tie-dyeing and weaving where the yarn is tie-dyed (at pre-determined intervals) such that the final pattern emerges once the fabric is woven. 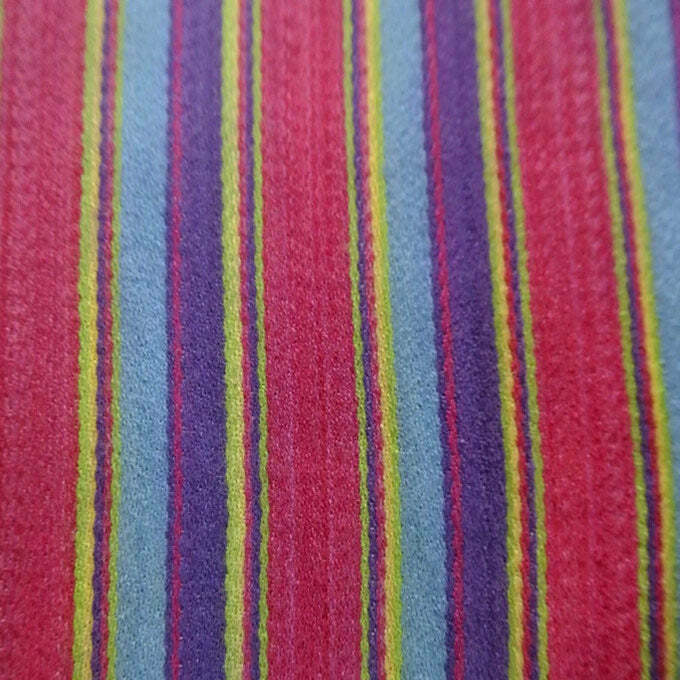 Every woven fabric has a warp (the length) and a weft (the width). Yarn is set on the loom in the warp, and a weaver passes a shuttle with yarn through the width of the fabric to weave the weft into the warp. This is the case for any handwoven fabric, but in ikat the yarn itself contains the pattern because it has been tie-dyed in a particular design before the weaving begins. See our slideshow on the ikat making process: http://on.fb.me/LPZKLZ Within the craft of ikat, you have warp ikat (where only the warp yarns are tie-dyed), weft ikat (only the weft yarns are tie-dyed), and double ikat (where both the warp and weft yarns are tie-dyed). Double ikat requires a lot of skill and precision because the yarn has to be dyed in such a way that the weft and warp patterns intersect while weaving to create a stronger colour and a bolder design. 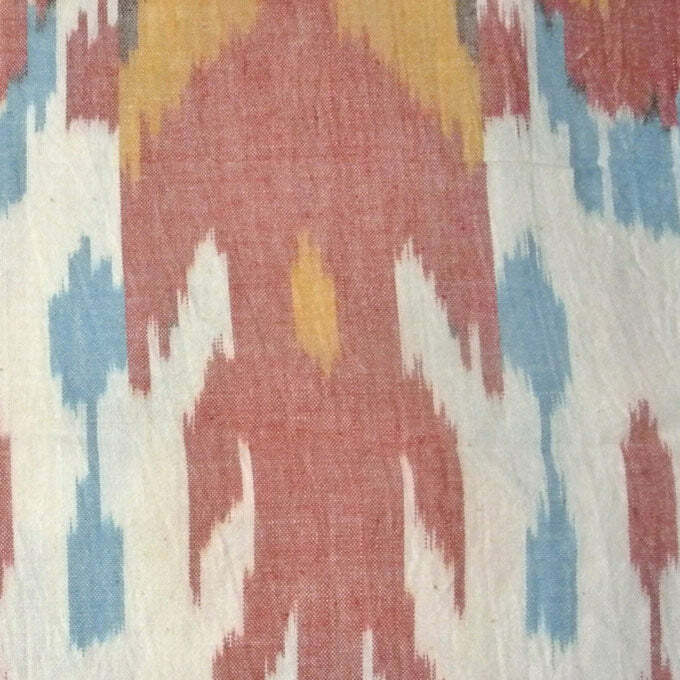 In India ikat is found in Andhra Pradesh and Orissa. 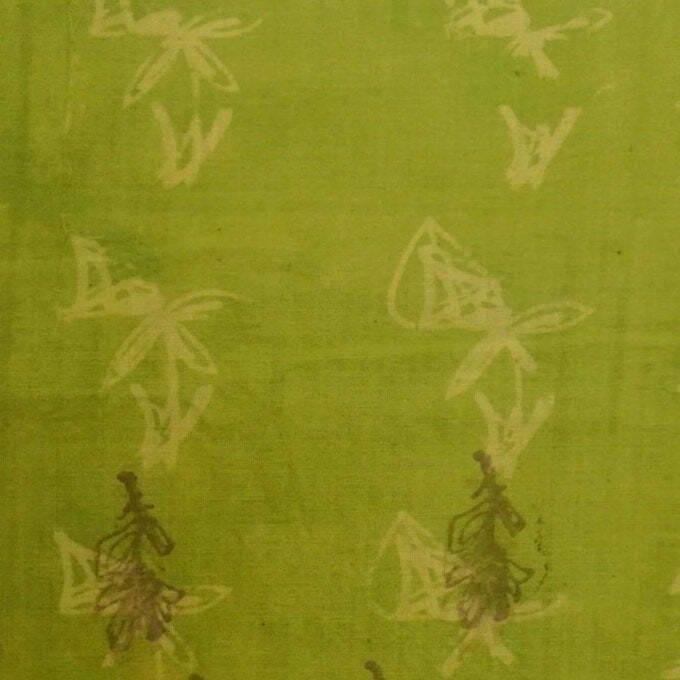 Andhra ikat motifs are generally more geometric, while Orissa ikat motifs often depict the flora and fauna of Orissa. 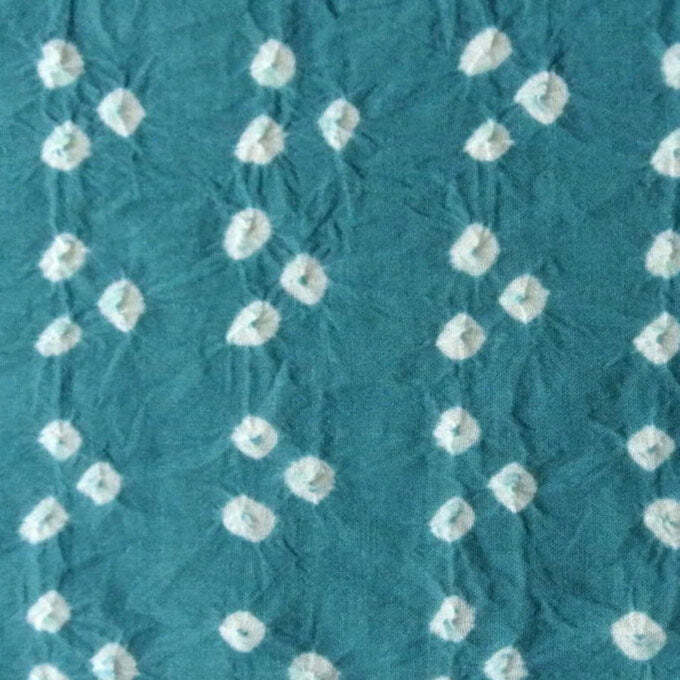 Jamdani refers to the extra-weft weaving technique in India that is indigenous to Bengal. 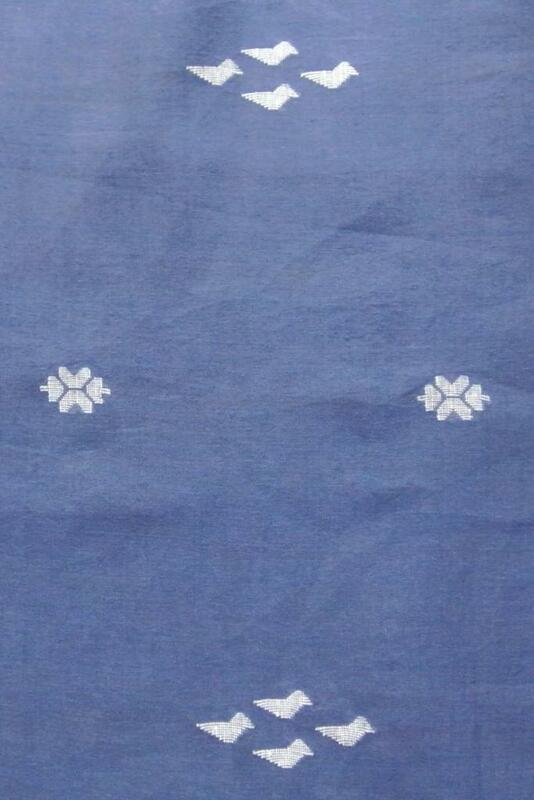 The intricate and elaborate designs are often in thin muslin cottons. Most sources say the term ‘Jamdani’ originates from the word ‘Jam’ which means flower, and the word ‘Dani’ which means vase or container. Many of the traditional motifs are flowers and hence the name. It is a craft that is widely practiced in Bangladesh and to a lesser extent in West Bengal (India). 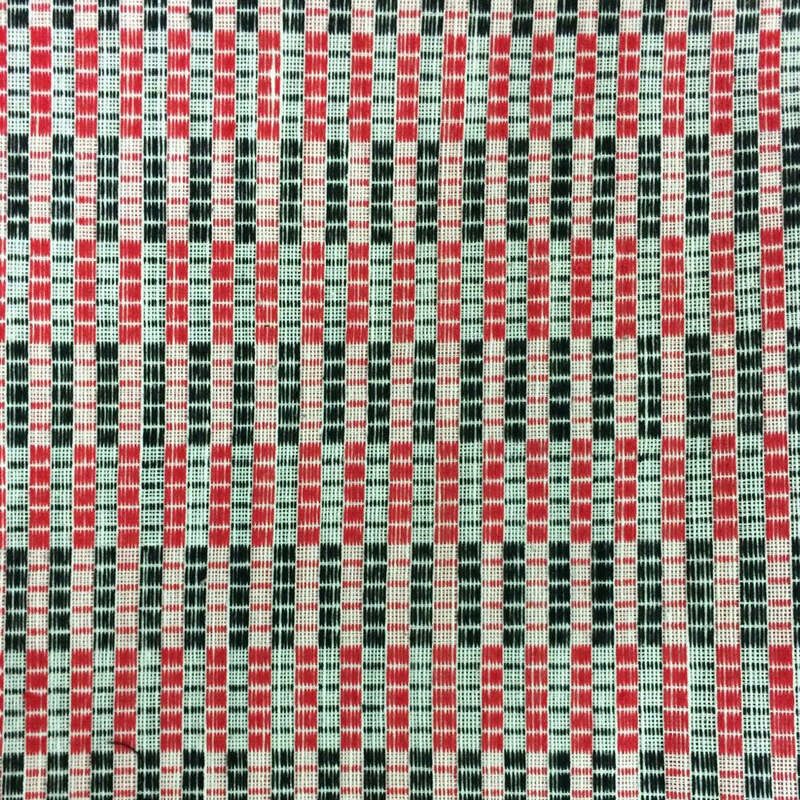 The process usually involves weaving a fabric by hand and manually inserting an “extra weft” wherever the motif needs be to woven in. 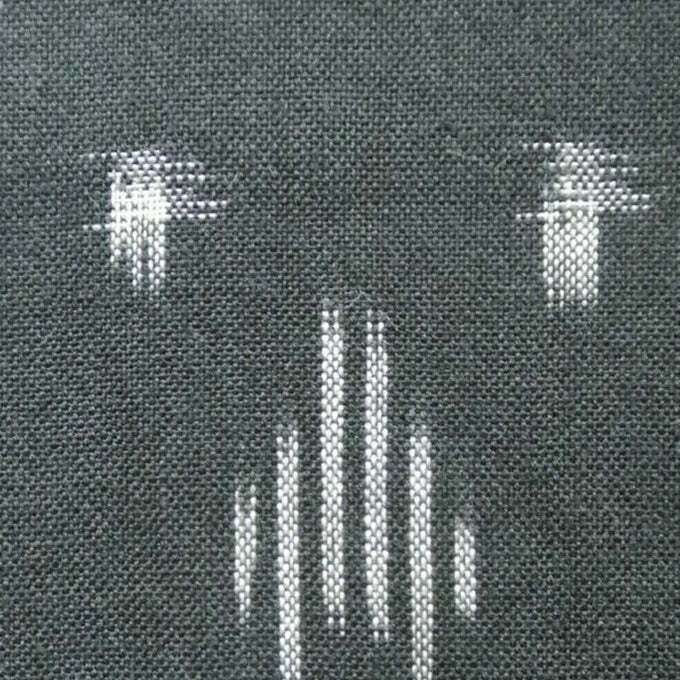 Two weavers usually sit side-by-side at the loom and add the discontinuous weft motif separately in order to cover the motifs that appear across the weft of the fabric. This craft is highly labour and time-intensive, making it one of the most luxurious and expensive textile crafts in India. 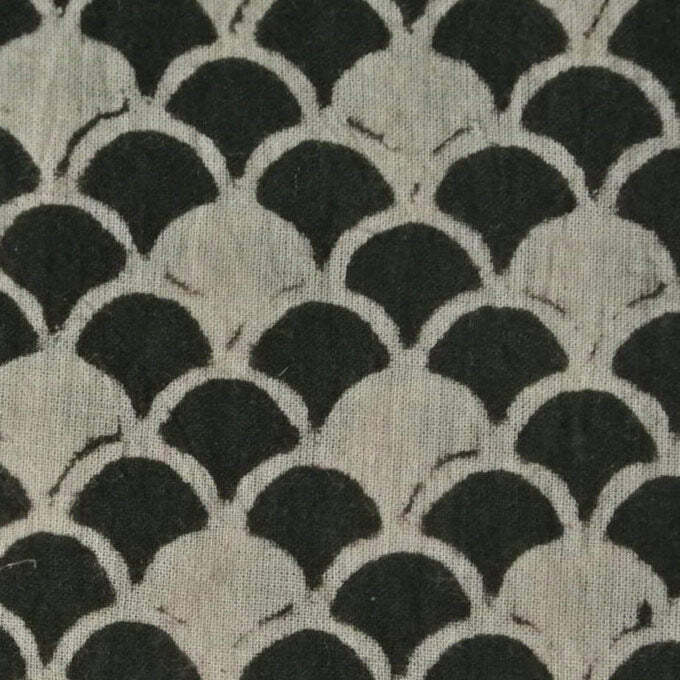 Once patronized by royalty, this fabric is a celebration of the high level of skill achievable in handloom weaving. The word 'Mashru' means ‘permitted’ in Arabic. 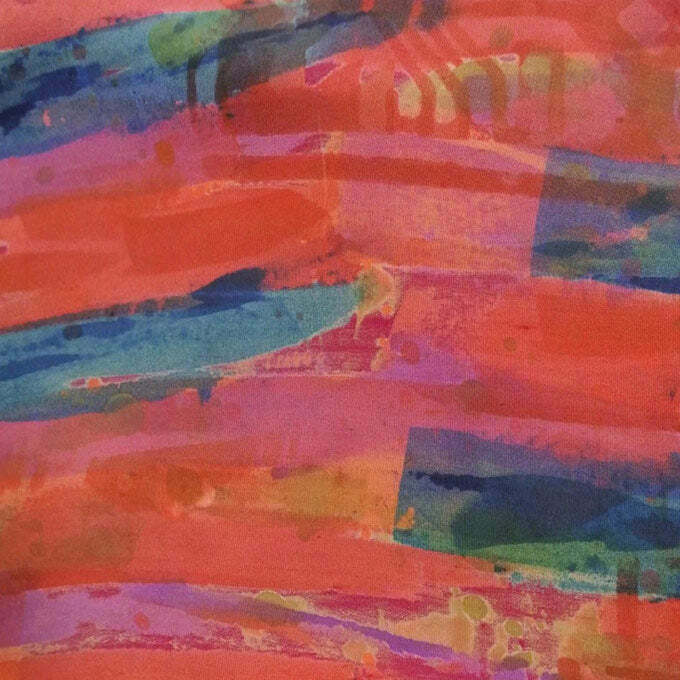 This fabric is vibrant, made by blending the richness of silk and the comfort of cotton textiles. Mashru has a characteristic fine satin finish, bright contrasting stripes in vibrant colours and striped Ikat weave which make it a favourite among those with a taste for luxury. In this, silk is used as the vertical yarn and cotton makes the horizontal yarn. Each silk yarn goes under the cotton yarn once and about five or eight times above the cotton yarn. 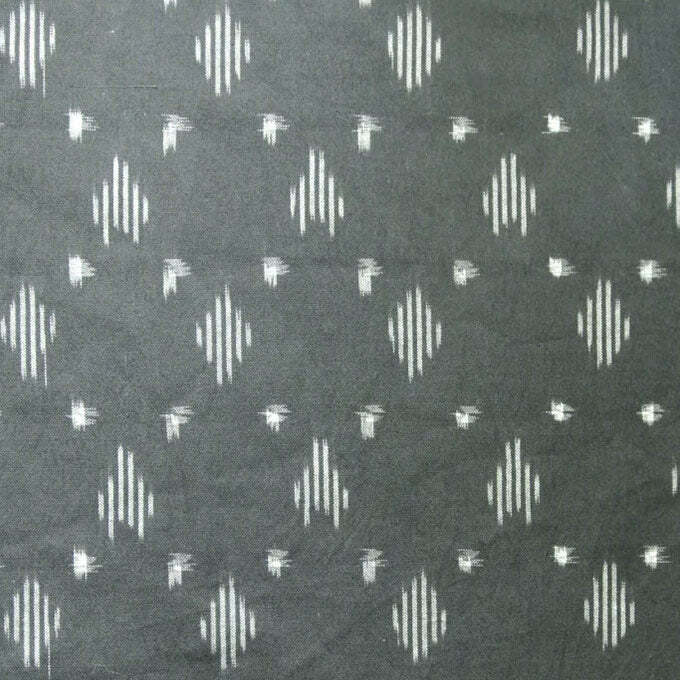 This fascinating weave technique results in a shiny surface on the top that resembles silk, and a comfortable inner side of cotton which makes it extremely wearable and durable. 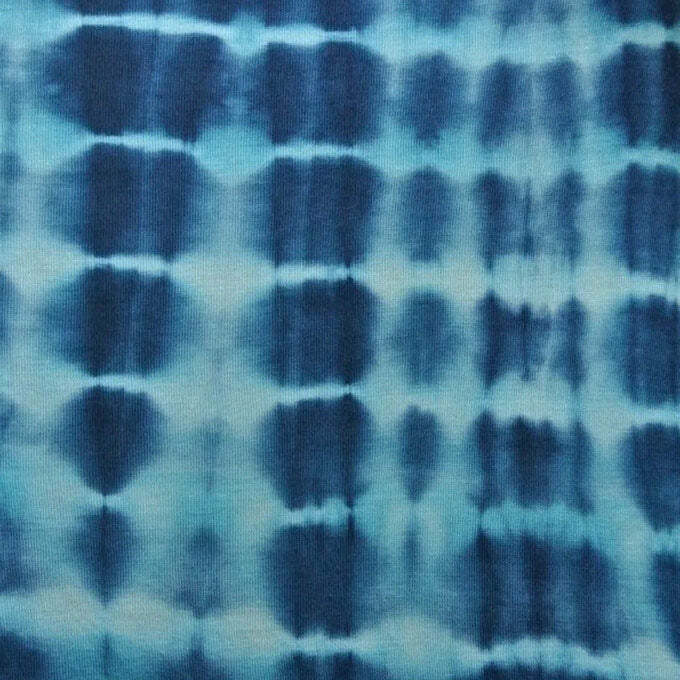 Within the craft of ikat, you have warp ikat (where only the warp yarns are tie-dyed), weft ikat (only the weft yarns are tie-dyed), and double ikat (where both the warp and weft yarns are tie-dyed). Double ikat requires a lot of skill and precision because the yarn has to be dyed in such a way that the weft and warp patterns intersect while weaving to create a stronger colour and a bolder design. 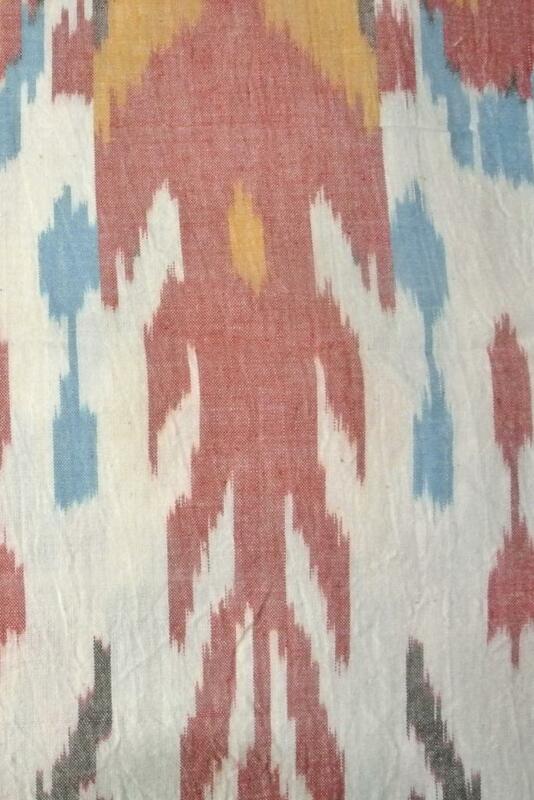 In India ikat is found in Andhra Pradesh and Orissa. 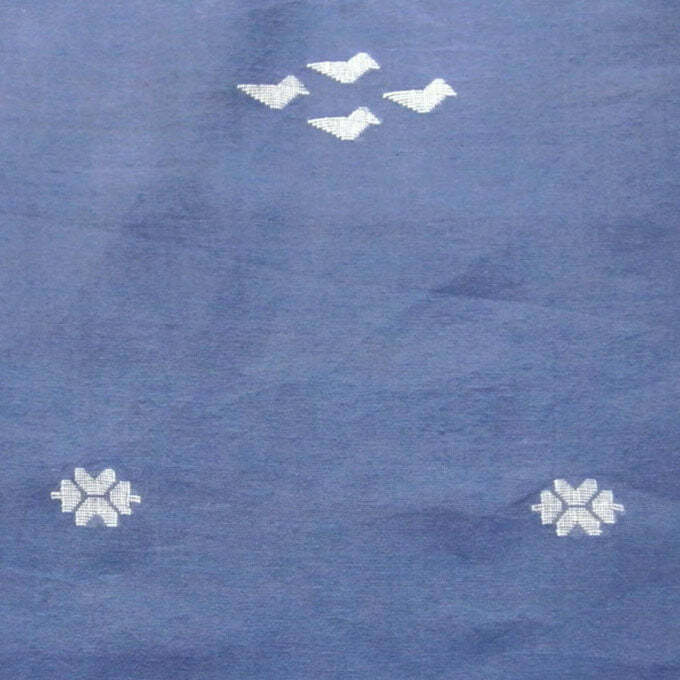 Andhra ikat motifs are generally more geometric, while Orissa ikat motifs often depict the flora and fauna of Orissa. 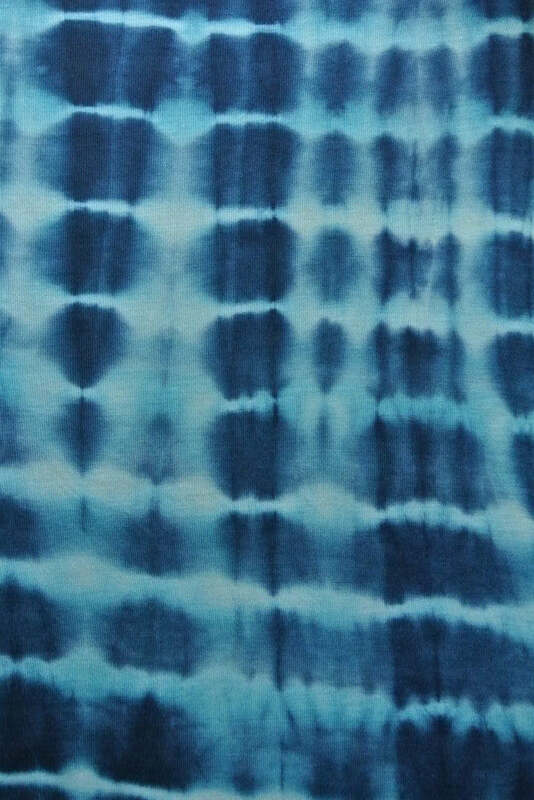 Tie dye is a term used to describe the tie-resist technique of making patterns on fabric. Tie-dye includes various methods (for example Bandhani is a type of tie-dyeing), but the basic principle is that the fabric is tied in some manner and then dyed. 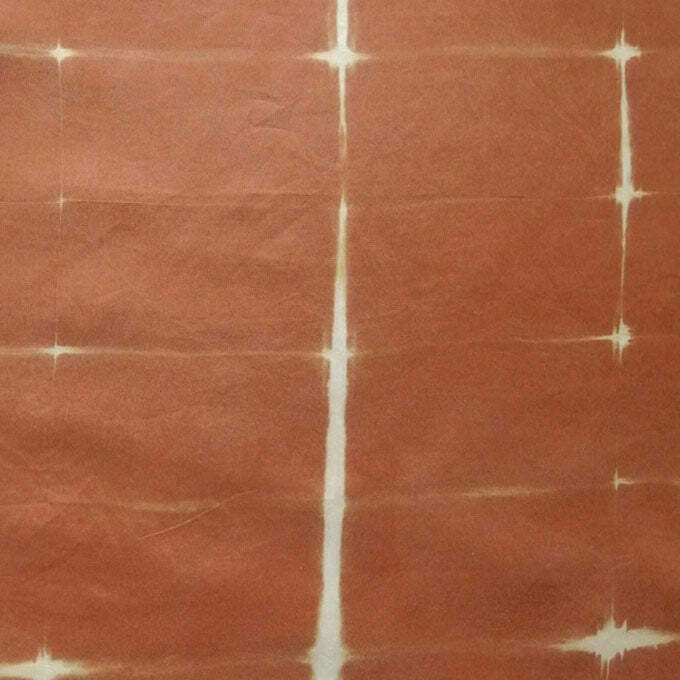 The areas where the fabric has been tied (tightly) doesn’t allow the dye to percolate through so you finally end up with a fabric that has patterns where the fabric was not dyed. Tie-dyeing techniques include leheria from Rajasthan (parallel lines tied after rolling the fabric diagonally), bandhani from Gujarat (tying the fabric in tiny circles before dyeing), and also methods where the fabric is crushed or twisted before tying it at random intervals. Fabrics can also be dyed before tie-dyeing if you want two colours on the fabric.